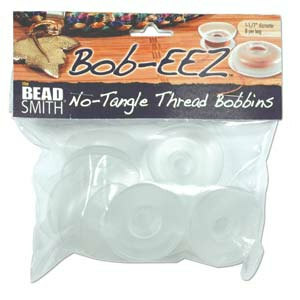 Bob-EEZ bobbins are made from soft, flexible plastic that allows you to flip open the bobbin and wind yarn onto the spool. You then flip the plastic back down over the yarn, securing it with a patented protective locking feature that prevents the yarn from unraveling and tangling. 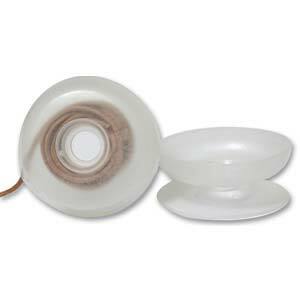 The bobbins will stack together for easy storage. These are great for intarsia.